4th Graders learned about value and how color can have value by adding white, gray, or black! 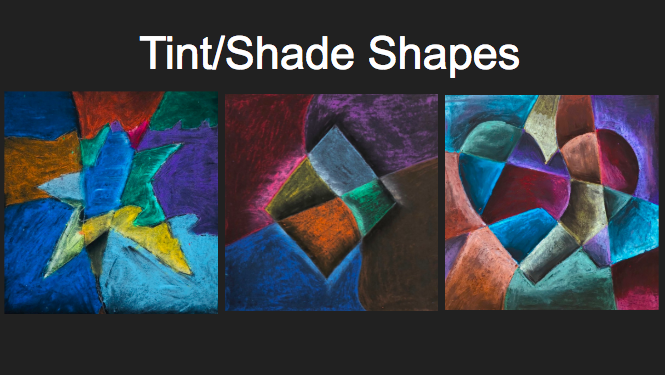 Check out their value studies below! 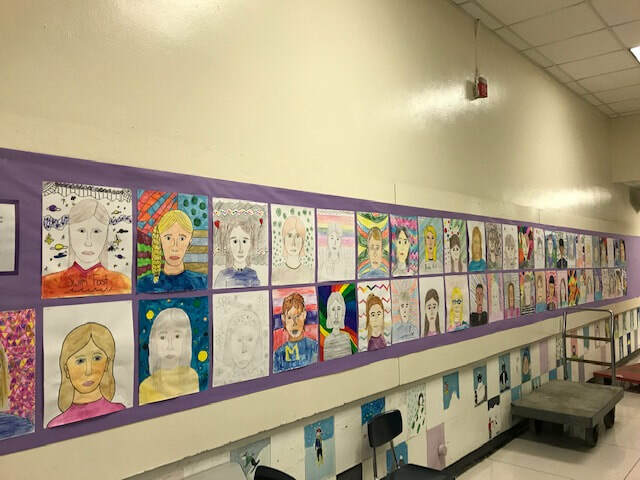 4th graders learned about the proportions of a face and created their own self-portraits through observation and the use of face mapping. The students then used bright vivid patterns in the background of their portraits just like contemporary artist Kehinde Wiley. Kehinde Wiley is well known for his hyper realistic portraits and bright patterned backgrounds. Students learned about the origins of stained glass windows and how they were made. 4th graders then created their own stained glass windows out of wax paper and tissue paper!